Win ticketss to the Fall 2014 BabyTime Show! Fall 2014 Toronto BabyTime Show. Win tickets! It’s the second most wonderful time of the year! The Fall 2014 Toronto BabyTime Show is just around the corner. If you’re a regular to this blog, then you know that the show is one of my favorite events of the year. Between spring and fall shows, I think I have attended at least 6 times. I may be a wee bit obsessed. For anyone who is new to this parenting gig, or will be joining our ranks shortly, the BabyTime show is the ultimate location to gain a ton of valuable information, safety knowledge and product in sight. Brands big and small head down to the show armed with coupons and samples. Various organizations and parenting services provide informative seminars an awesome information pamphlets. Long story short, at the end of the day you leave the event with a very large, very full bag of goodies to go through. One of my favorite aspects of the BabyTime show is the way it highlights new and innovative products and services. I’ve said it before and it still remains true now, some of the coolest baby and toddler gadgets and gear I’ve ever discovered have been at the BabyTime show. Friday, November 7, 10 a.m. – 6 p.m.
Saturday, November 8, 10 a.m. – 6 p.m.
Sunday, November 9, 10 a.m. – 6 p.m. Parking is located off of Simcoe Street. Stroller drop off available on level 4A – look for the signs in the lot. Additional dedicated family parking spots are available sponsored by HONDA. Each season, I had to the show with a few specific items in mind. This time around we are doing some heavy research in car seats. At only seven months old our little man is already over 20 pounds. This means I soon have to say goodbye to the ease of the baby carrier, and move him into a rear facing 3-in-1 style car seat. There are a few brands that I have my eye on, and I’m excited to be able to actually see, touch and feel the various seats and their features at the show. 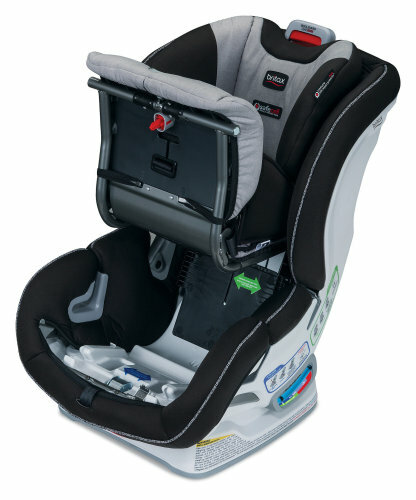 My leading contender is the BRITAX ClickTight Convertible car seat. This seat uses an innovative new way to lock into your vehicle. Making it incredibly secure, but using a technique that takes the hassle out of car seat installation. The car set itself also looks very cozy for the little one and provides a leading level of safety. A brand new way to install a car set! I also have a few products in mind that Cole will be growing into shortly. I think there is a misconception that you won’t need to buy all new things for baby #2. Now that I have baby #2, I realize that some items just don’t last that long There is a list of items we may have had for Lilly that have either not lived long enough to see Cole, or have been lost over the years. So I am in search of a handful of things that we loved for her, and now need for him. Below are just a couple products I will be checking out at the BabyTime show. The Miracle 360 degree trainer cup from Munchkin: Colton is a distracted eater. He wants to look here, there and everywhere and expects his milk to simply follow. We want to transition him to a cup that he can hold, so that he can take his time and move as needed. I am super impressed with this awesome innovative cup from Munchkin. I could explain it, but this video gives the wow factor better than my words could. 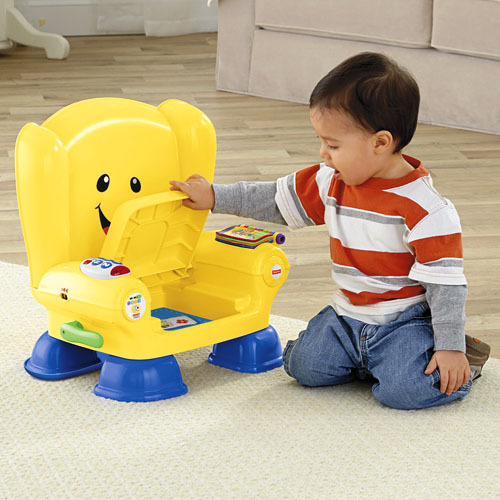 Laugh & Learn Smart Stages Chair from Fisher-Price: Many of the baby toys & gear we had for Lilly were hand-me-downs, which was amazing to have. However, many of them wore out over time. Also, we learned quickly that baby gear & toys can over take a house once you factor in all their different stages of play. That’s why I love the looks of the new Smart Stages Chair. It is functional, compact and will grow with our little guy. So much fun with just one little chair! Having a game plan of a few items you know you want more info on can help you get the most out of the show. Aside from the above mentioned products, I will also be on the look out for some innovations in teethers, a few new baby-proofing tricks and awesome baby toys for Cole’s first Christmas. For the first time in a while, I think I will be attending the show kid-free. However, if you are thinking of bringing the little ones, there is a ton of fun activities for them. Many major brands such as Lego and Play-Doh have play centers that kids can enjoy. There is also handy changing stations and very comfortable nursing/bottle warming rooms set up. Overall, it is likely the most family friendly consumer show you will ever step foot in. Lego has been kind enough to provide a great prize to share with you! 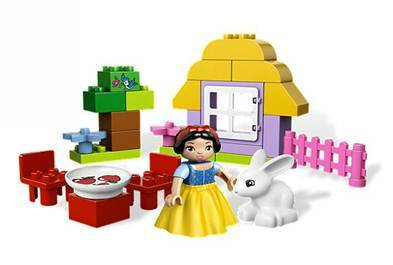 I am giving away an adorable Snow White Lego duplo set to one lucky reader. The prize will be available for pickup at the show. Snow White Lego duplo play set. I am also giving away 2 pairs of tickets to the Fall 2014 Toronto BabyTime Show. Want more chances to win tickets? Check out Little Miss Kate, Multi-Testing Mommy & Simply Suppa! Disclaimer: I’m a BabyTime Show Media Partner and received special perks as part of my affiliation. All thoughts and opinions are my own. I am looking at learning more about which carrier to purchase for my 5 day old daughter. Thanks for linking up to my giveaway I have done the same! What day are you heading to the show? I’m looking forward to finding out more about all the car seat options available and about cord blood donation. I am looking to find great deals! I’m also looking for more info on car seats. Looking forward to the show! Hoping to get tips and ideas!